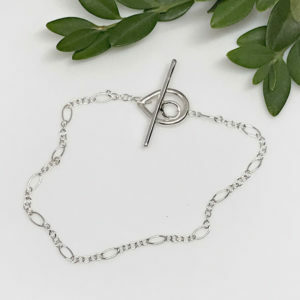 Pretty little silver “heart” bracelet, both simple and dainty. 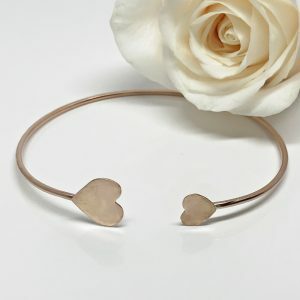 Simple heart bangle bracelet, perfect for stacking or on it's own. 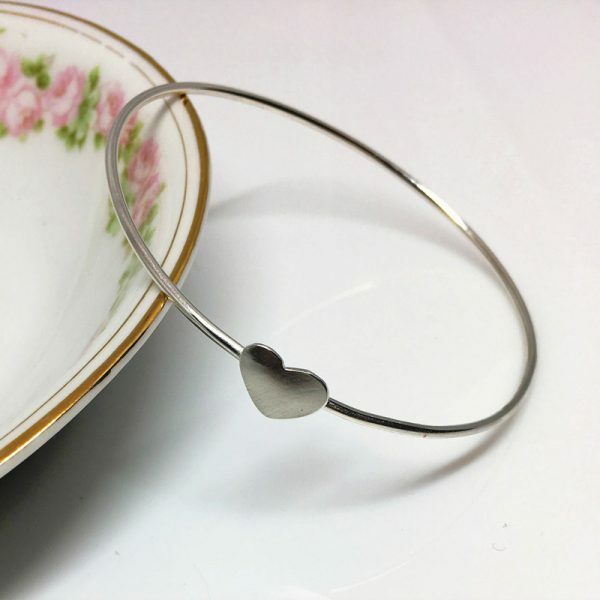 Petite silver heart sits on a delicate silver bangle, just lovely. 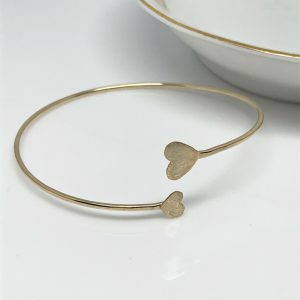 Brushed silver heart bangle bracelet. A single petite silver heart sits atop a delicate silver wire bangle. 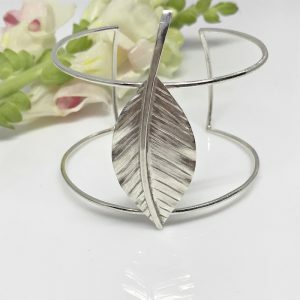 Both the heart and the bangle are hand cut and formed from Argentium silver metal. The heart has a brushed finish while the bracelet is polished to a high sheen. The gold filled and rose gold filled options are Made-to-Order ONLY.